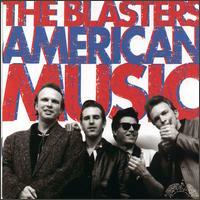 Border radio - The Blasters. 1981. The Blasters/ The Blasters collection. Blasters. L.A based Americana. California.1980 - 1985. 1994 - ? Lights of downtown – The long Ryders. 1985. State of our union. Long Ryders. Byrds meet punk sensibilities. Los Angeles, California.1981-1987. Hillbilly Highway - Steve Earle. 1985 Guitar Town. This old porch - Lyle Lovett. 1986 Lyle Lovett. Two angels – The Jayhawks. 1989 Blue Earth. 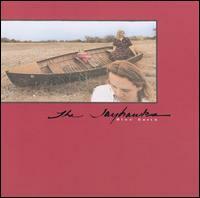 Jayhawks.Along with Uncle Tupelo, one of the founders of Alt/country. Minneapolis, Minnesota. 1985 - (Main men, Gary Louris/Mark Olson). Screen door - Uncle Tupelo. 1990 No Depression. Texas tornado - The Texas Tornados. 1991 Texas Tornados. Tear stained eye - Son Volt. 1995 Trace. Son Volt. St.Louis, Missouri. 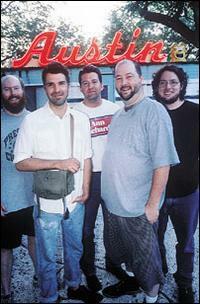 1995- (Founded by Jay Farrar). Gravity – Freakwater. 1995 Old Paint. Freakwater.Louisville, Kentucky. 1989- (Janet Bean, ex Eleventh Dream Day drummer & Catherine Irwin, main voc.). Caldonia – The Gourds. 1997 Dem's good beeble. Orphan girl - Gillian welch. 1996 Revival. Cowboy Nation - Cowboy Nation. 1996 Cowboy Nation. Chip & Tony Kinman, ex Dils & Rank & File. Far far away – Wilco. 1996 Being There. Wilco. Chicago, Illinois. 1995- (Founder Jeff Tweedy, with John Stirratt , brother of Laurie of Blue Mountain, plus Max Johnson, ex Freakwater, U.T., & now Gourds).